Oggi voglio mostrarvi un profumo che ho avuto modo di provare in questo ultimo periodo, si tratta di White Musk Libertine di The Body Shop. Non si tratta del classico profumo al muschio bianco (che per quanto mi riguarda é a volte un pochino troppo pesante), ma di una fragranza fresca, femminile e per niente stucchevole. 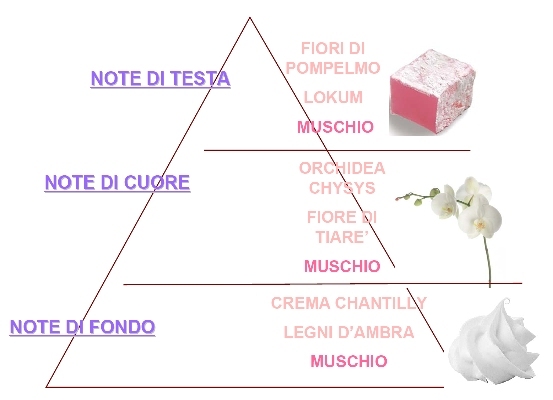 Il muschio é presente in tutte le tre note che compongono la piramide olfattiva di questra fragranza e la presenza dell'Orchidea Chysys e del Fiore di Tiaré contribuiscono a rendere questo eau de toilette dolce e al tempo stesso sensuale. Q: What does being a libertine mean to you? A: Libertine is about the freedom of expression. It means feeling confident and empowered enough to live a life that you want and in the manner you like. Everyone can be a libertine! It’s not restricted to any type of person, personality or age - that is one of the great things about the libertine concept. Q: Who would you say are/were inspirational libertines? A: Anita Roddick is someone who was a true inspiration to me and many others. Her libertine traits helped her to see the world differently and bring to the fore, issues that needed to be addressed. Her confidence and free thinking showed Anita Roddick was a true libertine, and one that was well ahead of her time. Q: What is the inspiration behind The Body Shop White Musk Libertine? A: We wanted to celebrate what it means to be a libertine and the essence of femininity. White Musk Libertine is about evolution and not revolution, so we also took inspiration from the original White Musk: which was a defining scent of its generation, a leading world first and accessible to all women. Q: How did you go about finding three different notes that would work and complement each other so well? A: The brief and the concept of libertine really helped in making this process easier. We knew we needed to find a unique and original ingredient mix as well as finding scents that would bring out the key libertine personality traits: confident, feminine, sensual and playful. Turkish Delight is a spicy scent and along with the sweet aroma of Chantilly Cream give the fragrance its playful personality. The Sherry Baby Orchid and Tiare Flower add a floral touch to the fragrance to give The Body Shop White Musk Libertine its femininity. 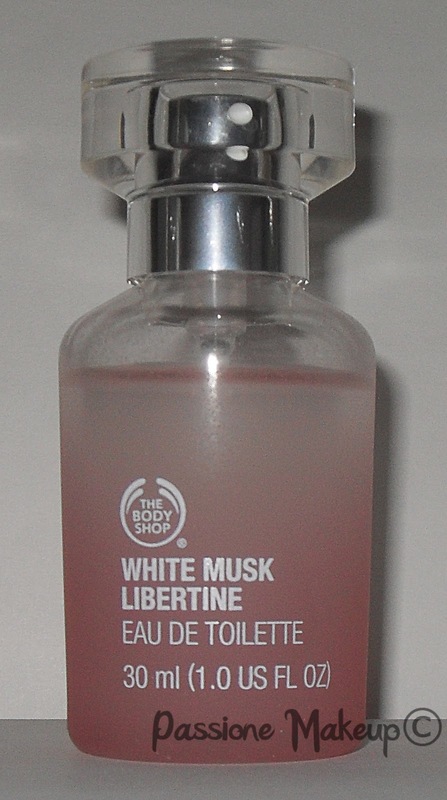 Q: The Body Shop White Musk Libertine uses ingredients sourced from The Body Shop Community Fair Trade programme. What do you think of this initiative? A: I think the initiative is great. It’s important as humans for us to respect each other and give back where possible. Also, the resultant ingredients that come out of these communities are high quality whilst being more sustainable. amo il muschio bianco e non vorrei mai che cambiasse, ma forse questo è il caso di provarlo! L'ho annusato in negozio e mi è piaciuto molto, prima o poi lo farò mio.